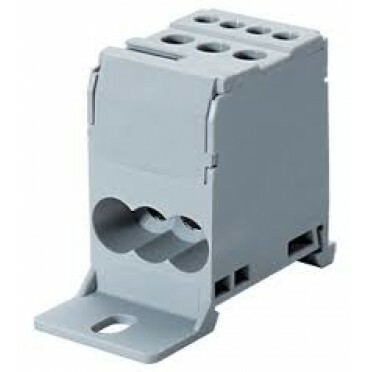 Connectwell Compact Distribution Blocks DB16, Price In India. distribution block are used for single phase distribution systems. These blocks can either be mounted on a Din Rail or can be Panel mounted..